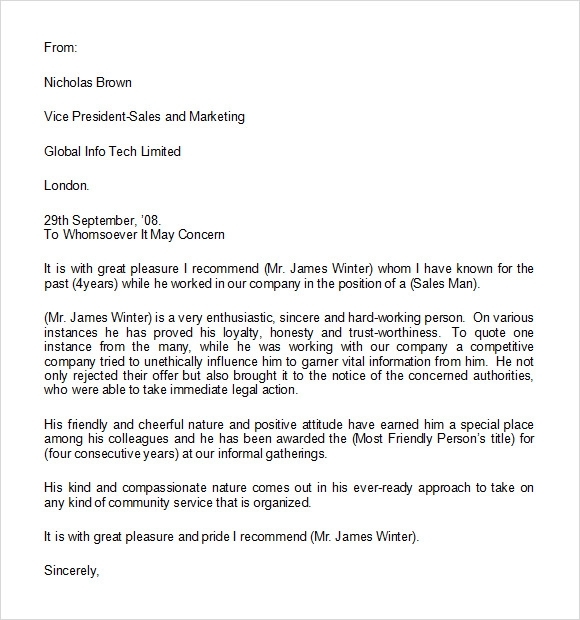 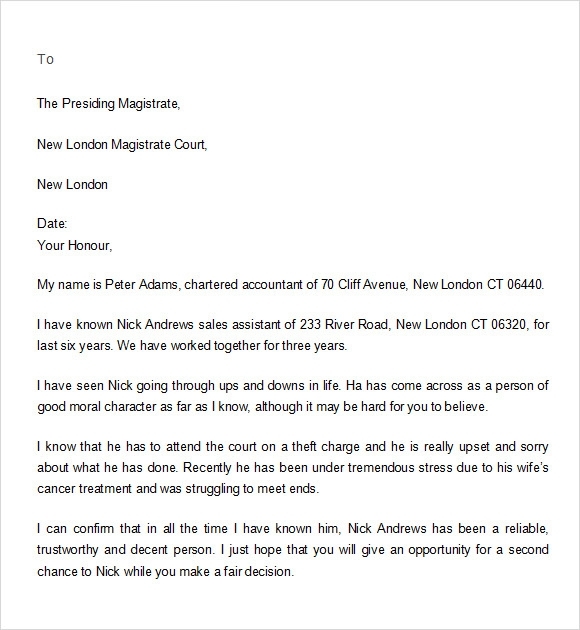 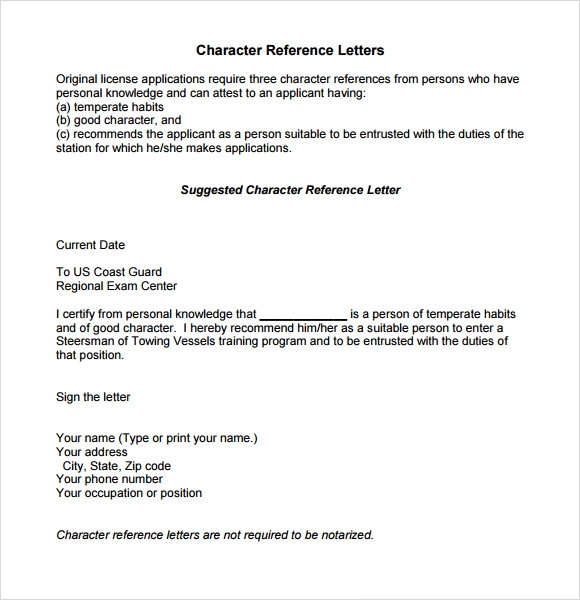 For people looking for someone who can give their employer or superior to tell about their true self, character reference letter can show your trustworthiness and impressive skills that may come from your family, friends or even from previous employers. 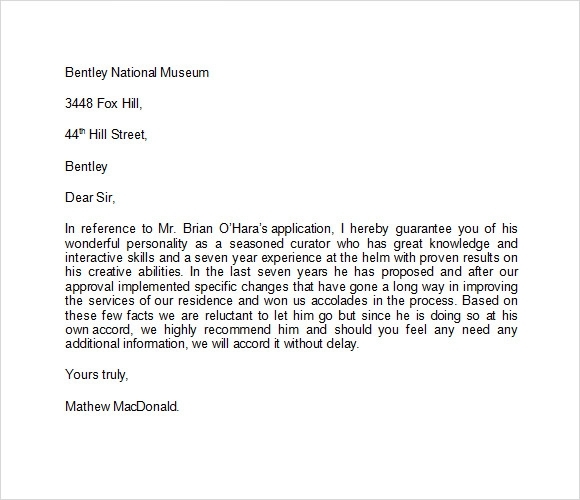 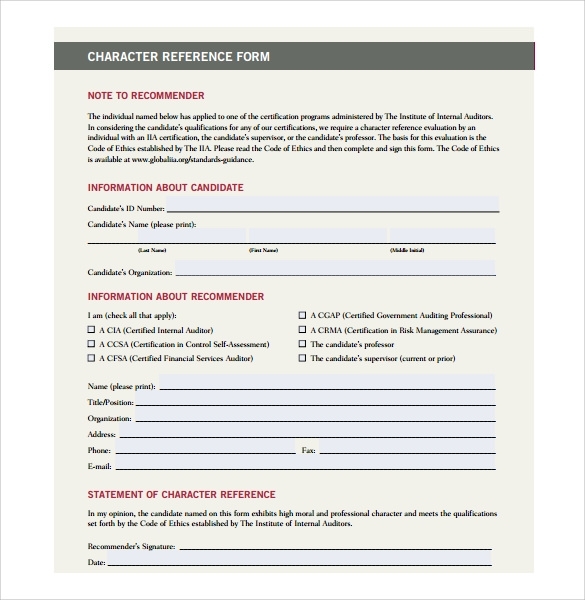 This commendation Reference letters is requirement most of the time in job application or entrance to a group that requires extensive obligation and fidelity.There is a free example template when you surf online that you can download; you can also make one using the Microsoft word application so you can print the sample letter instantly. 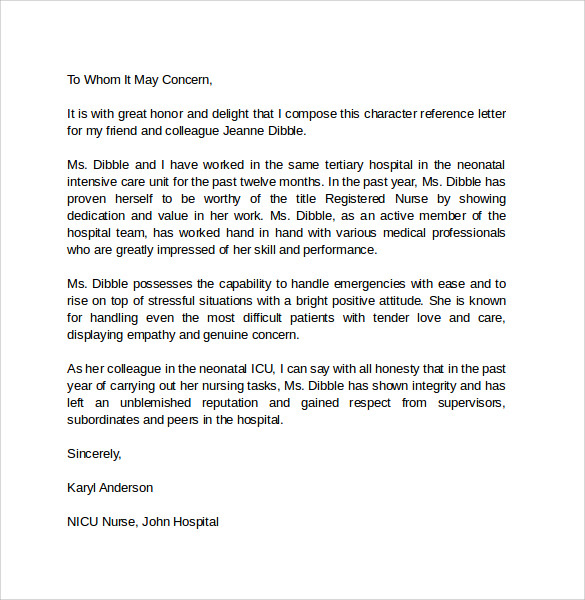 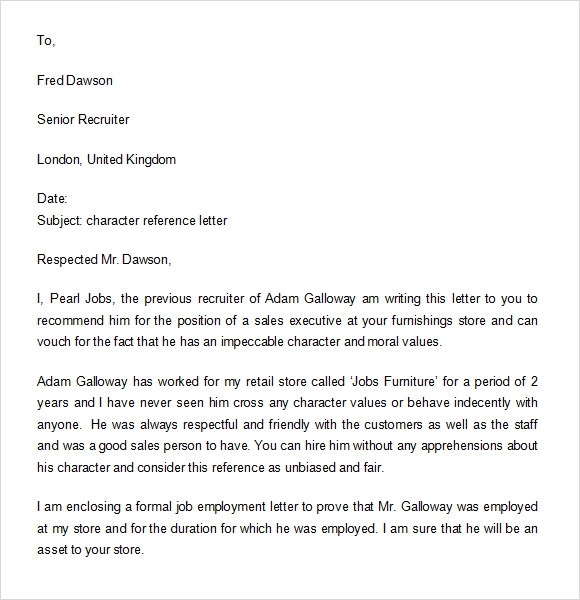 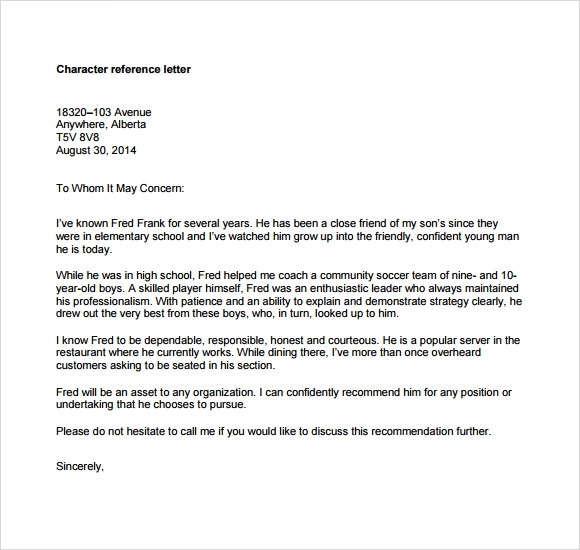 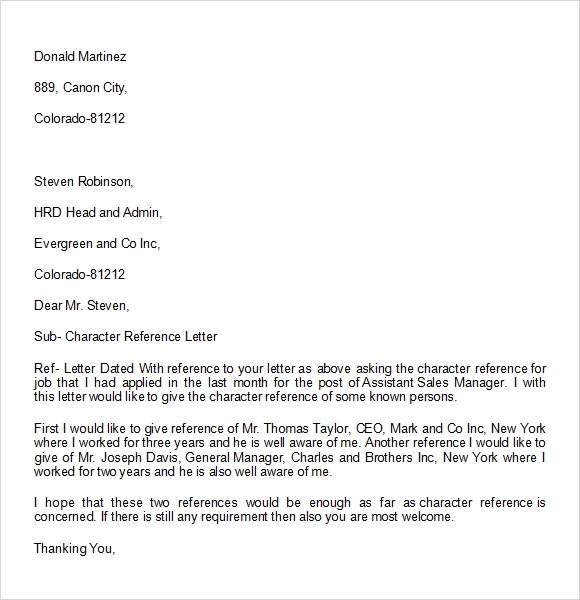 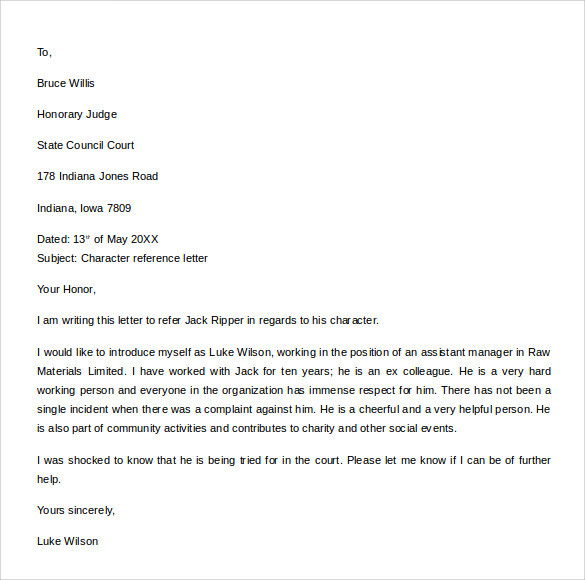 Character reference letter template can give anyone the guide on what is the content to be written on the endorsement letter that their work or application requires for them to be accepted or hired.